1 : Best Angkor wat tours Experience Angkor Wat and Cambodia through the eyes of an experienced and certified local tour guide. Mr. Lekh Puy has given over thousands of tours throughout the years and knows how to give his clients the best holiday and vacation in Siem Reap. For the most rewarding view, we recommend seeing Angkor Wat at sunrise. Continue on with us as there are so many other beautiful temples and interesting sights to see. 2 : Angkor wat tour packages Each packaged is customized for individuals and groups depending on the amount time you have here in Siem Reap and the style in which you like to travel. We have luxury air-conditioned vans but if you wish, we can also bike between the various temples. Beyond the temples we can experience the culture of Cambodians through visiting fishing villages, a boat ride through one of our biggest moats, an Aspara dance show, a privately cooked dinner in one of our quiet and remote locations where you can absorb the breathtaking fields and glowing sunset. We value your time and are always prompt with any options you choose. 3 : Angkor wat tour reviews Asia Private Guide Service has the best Angkor Wat and Cambodian tours. 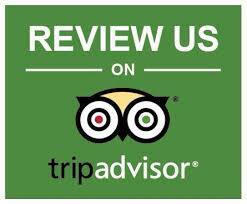 Don’t just take our word for it; view the hundreds of reviews and satisfied clients via Trip Advisor. Mr. Puy has extensive education with the history of Cambodia and at each temple you’ll learn something new and interesting. Take home postcard like photos as he is not only happy to take pictures but knows the best spots and views for you to remember your wonderful time here in Cambodia.